Voltas is a TATA Enterprise. 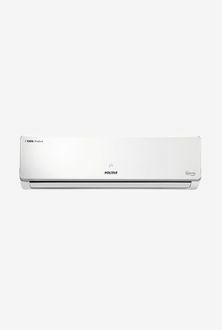 It is one of India's leading air conditioning brand. It has been providing cooling solutions to India for more than sixty years now. 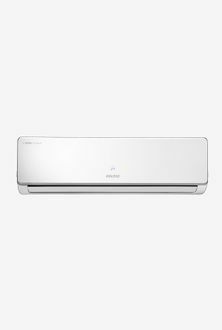 It has established its benchmark from manufacturing the first Indian room AC to introducing the Split AC. Not only this, Voltas is the first to adopt energy efficient star rated products. Another very innovative technology that Voltas offers its customers is the inverter AC. Voltas inverter AC regulates the power supply according to compressor's requirement. It lets the compressor to be always switched on, drawing very less power based on the incoming air temperature and the level set on the thermostat. 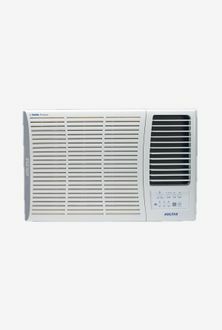 Voltas manufactures air conditioners in various capacities. The 1.5-ton ACs are most in demand for their apt cooling for a regular room size. MySmartPrice is here with a wide variety of Voltas 1.5 ton inverter ACs to keep you cool in hot summers. 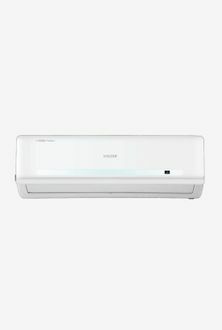 To avail at the lowest price on Voltas 1.5 ton inverter AC at the moment, we have updated the price list of 32 Voltas 1.5 ton inverter ACs on 20th April 2019. Buy Voltas 1.5 ton inverter AC with dehumidification function to maintain the right cooling even in the humid weather. Give yourself and people around you the utmost comfort of Voltas 1.5 ton inverter AC. Buy online these affordable 1.5-ton inverter AC and reduce your electricity bill. Browse through an extensive range of Voltas AC in various capacities, features, designs, etc. and say goodbye to hot and humid climate. Buy Voltas 1.5 ton inverter split AC or Voltas 1.5 ton inverter window AC that best fit your requirements. These Voltas ACs come loaded with numerous useful features like All-weather ACs, dehumidification, Auto clean, silver ion, etc. Also, enjoy massive discounts on Voltas air conditioners at MySmartPrice. Now experience winters in hot summers while shopping online from trusted online dealers like Amazon, Flipkart, Snapdeal, Shopclues, etc.